The following is a personal account of someone’s Walking School Bus in Winnipeg (organized since 2007). To learn how to organize your own Walking School Bus program, see our Active and Safe Routes to School Program Handbook. Back when our first child was finally able to attend our local elementary school, we were excited that we would no longer have to drive every other day. Prior to this, our son had attended a Montessori school three days a week in another part of the city that we drove him to. Even though this drive was not particularly far, it was along a rather congested route, resulting in frustratingly long and stressful commutes. We had lived in our neighbourhood for many years prior to our son attending the local elementary school, but we knew very few folks outside of the other kids and parents on our street. Within days of walking to school with our son, we had many familiar faces that we began to recognize, and began to look forward to seeing them each day. Over time, these acquaintances evolved into “play date parents”, and then friends. Exercise – It allows our children to get at least 30 minutes of exercise every day as we walk to and from school. Often the walk provides inspiration to go and check out the park on the corner, or to go and play at a friend’s house along the way; moments that would not otherwise happen if they were driven. We know our neighbourhood – Ask me where the best places are to walk or bike, what street has the nicest flowers, what is happening at the community club, what band is playing at the local club, what house is getting renovated, and what the latest construction zone is, and I am able to tell you right away, as we see this on the daily walk with our kids. We know our neighbours – We’ve built new relationships with people we wouldn’t have met otherwise. Our Walking School Bus has allowed us to spend time getting to know other parents and kids who walk to school regularly, and live nearby. Some of the best friends that we have today we met by simply walking our kids to school, and meeting many of the awesome and interesting people who live in our neighbourhood. We get to spend quality time with our kids every day – It is part of our family routine and custom that we walk and talk on our way to and from school. We get to talk about what the day ahead holds and how their day was after school (while it’s still fresh on their minds!). 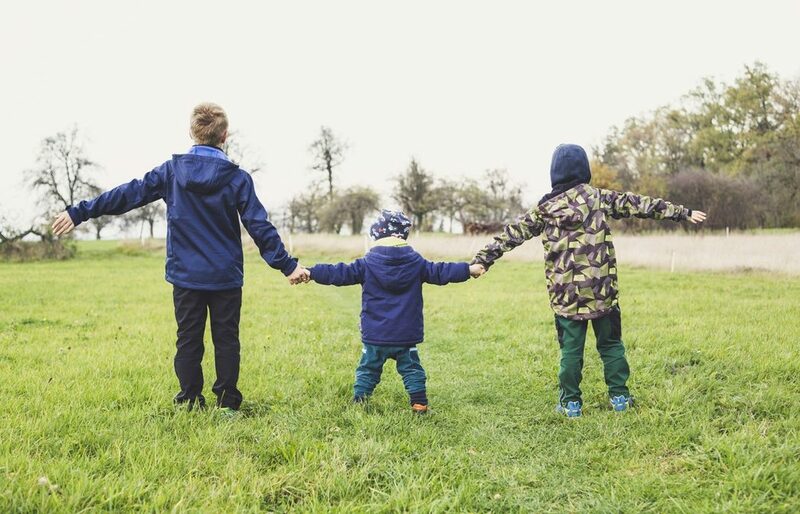 We know our children’s friends – We meet and talk with other kids along the way, many of whom often merge into our group and chat freely as we walk. At school, we can put faces to names as we walk our children to their classrooms and meet their school friends. We know our children’s teachers – We are able to have a quick check in with our children’s teachers at drop off in the morning and sort out any issues as they arise. Be warned! This has can lead to volunteering many hours at the school…! We save money – As a frugal Winnipegger, I am glad that our vehicles sit for days as we walk our kids to school and bike to work. Kids are expensive as is, so not having to spend money on gas to shuttle them back and forth, as well as reducing the wear and tear on our vehicles means more money saved. We make the streets safer – Not only are we able to keep the kids on our Walking School Bus safe from risks (such as traffic and bullies), we are also able to keep an eye on other kids in the neighbourhood and on the lookout for suspicious activity. More eyes on the streets makes for safer streets for everyone. We make the school safer – By not driving our children to school, we take several vehicles off of the road that would otherwise be driving and creating congestion around the school itself. I am often given the rather ironic defense by parents that they feel the need to drive their kids to school because traffic around the school is so hectic. As the line goes, you are not stuck in traffic… you are traffic! We make the air we breathe cleaner – By not driving, we don’t pollute the air that we and others breathe. Heavy traffic around schools results in increased air pollutants and greenhouse gas emissions. In many communities, the most polluted air is found around the local school. Life lessons – As we walk our kids to school, we are modelling behaviour that the car is not the only mode of transportation and should not be the default way to get around. This results in the next generation becoming active commuters when they grow up, which means safer, cleaner, and healthier communities for them as well . My kids prefer to use their bikes when we are going places, and we have had many awesome adventures cycling as a family. Good friends return favours – Although we have never asked to be paid to walk other children to school, we have had our generosity returned many times over through reciprocal child care, gift cards, and even help with renovations. It pays off in so many ways! If you want assistance starting your own Walking School Bus, please contact our Active and Safe Routes to School Program (204.925.3777 or asrts@greenactioncentre.ca) any time, and we would be pleased to provide the support, advice, and resources needed to make this happen at your school/ in your community. Great article! I posted this on my Winnipeg School division trustee Facebook page. WSD supports Walking School buses and I am thrilled to see this feature in our Wolseley neighbourhood. Lisa-That is fantastic! We are very glad to hear the the Winnipeg School Division is supportive of Walking School Buses. I would love to connect with you and discuss how we can work together to make more walking school buses in our division a reality. I will send you an email to connect, but feel free to contact me anytime at jamie@greenactioncentre.ca. Thanks! Love The article!! I hope it inspires many other communities to do something similar. Today for the first time I was able to pick up my girl from RA Steen and bike home together…unfortunately it is still quite stressful for us as we have some high congestion areas to get through to get home. Would you have a suggestion on the best bike route for mom and still not super confident daughter (8 years old) from RA Steen to the 275 Spence Street (just south of Portage avenue. Or would you know who best to contact for such advice? You guys are doing a fantastic job in setting such a great example. Keep up the great work!